How much is a Brazilian? 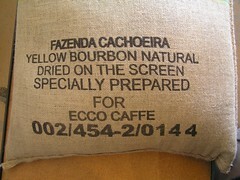 The last month or so has seen a lot of hot and heavy Brazilian activity around Ecco Caffè. Big on the plus side is the addition of team member Fabricio Almeida, son of esteemed organic coffee producer Paulo, who is responsible for the brilliant Santa Terezinha. Fabricio cups samples for the 2005 Colombian Cup of Excellence. 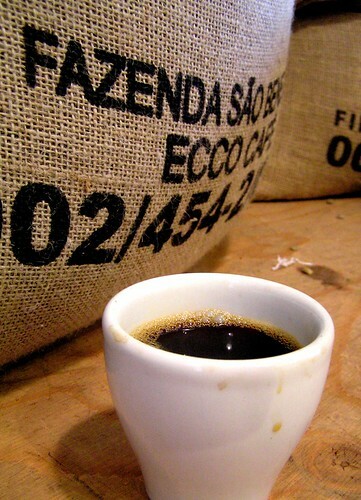 As you may remember, the Terezinha took first place in 2001 in the Brazilian COE competition that year. We've been fortunate enough to have this coffee in our stable for a couple of months, and are contemplating holdingFabricio hostage to lock in next years crop. In the meantime, Fabricio is learning about all aspects of the specialty coffee industry, including how to say pulped without it sounding like poop-ed. Aside from their native son, we've been enjoying the coffees. The Fazenda São Beneditio captured the #2 ranking in last years' Brazil COE competition, getting a score of 92.65 from the jury. 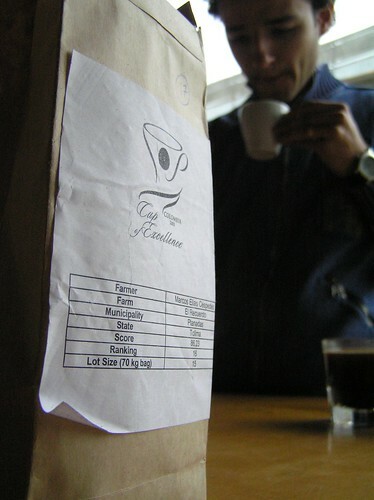 We scored two bags of this fabulous coffee from that auction, and they finally arrived in the past weeks. Some of our initial roast went out to friends. Feedback has been good. 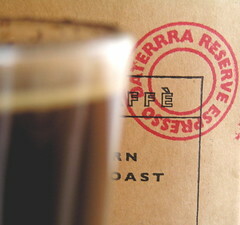 We'll have this coffee available through the website, which will hopefully be up and running soon. 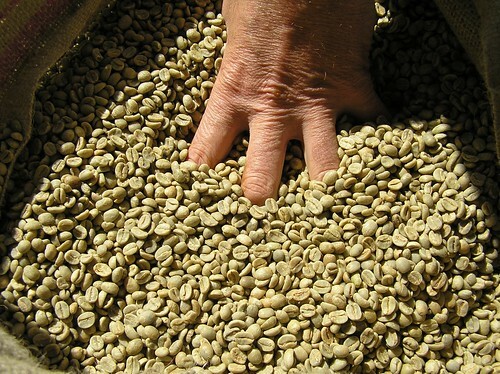 There is also 2005 crop from Daterra Coffee which when we cupped it smelled and tasted like almond butter. Crazy good. Even as an espresso, that almond flavor is dominant. This week also witnessed the arrival of a truly unique coffee. From the farm of Gabriel Carvalho Dias, comes this very special screen-dried coffee. Word is this coffee usually gets shipped off to other countries. But after cupping it and pulling some shots, we made the necessary calls to bring some of the sweet stuff here. As an espresso, this coffee was one of the best I've ever had. A complete package from one bean. Dynamic and flavorful and sweet. 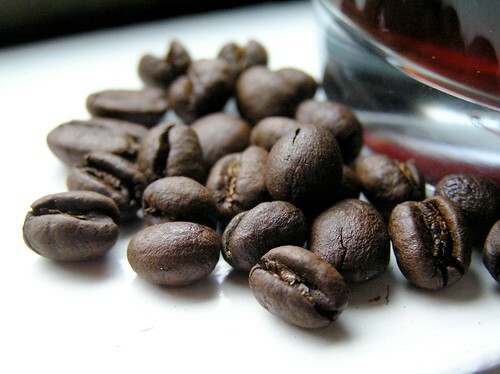 And finally, on a sad note, I had to say goodbye to my delicious friend, the 2004 Pantano Peaberry. Our relationship was a little rocky in the beginning. We didn't understand each other and had a lot of little things to work out. But when things finally came together, it was magical. Sweet, sweet Pantano, how I will miss you. Until next time, os agradecimentos e aprecíam o café. ahh, sweet pantano. you will be missed. I love all of Gabriel’s coffee. He seems to have somehow nailed consistency from year to year. I was so pleased I got one of his coffees shipped with my name on it! I really want to taste some of your coffees. Have you got the necessaries to sell to the uk?